← MACS takes California by storm – literally! MACS has been keeping up with the roll-out of R-1234yf refrigerant for several years now, and as expected the 2017 model year has extended HFO’s reach into several more models and with more manufacturers than ever before. 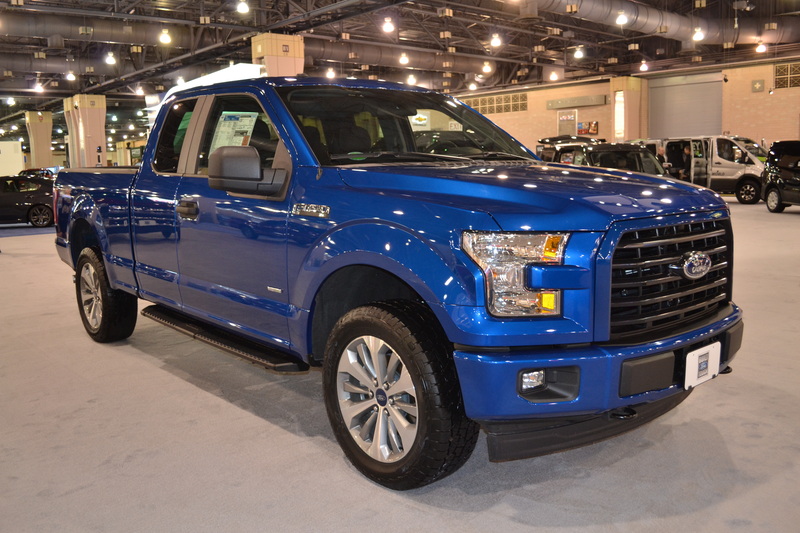 The last Friday in January was Media Day at the Philadelphia Auto Show, and MACS was there to check out the new models, open 100+ hoods, and see what the OEMs are doing with their A/C systems. We were not surprised to see more vehicles using the new refrigerant, but we really didn’t expect to see as many as we did. I myself thought there would be some increased expansion within a few vehicle lines, but we found it in close to half of the vehicles we saw on the floor! In fact, after talking to a few other people who also track yf’s expansion, we calculated recent surveys at about 48%. Cadillac became the first US brand to use R-1234yf back in 2012, and now we’ve seen it in almost all of their models. 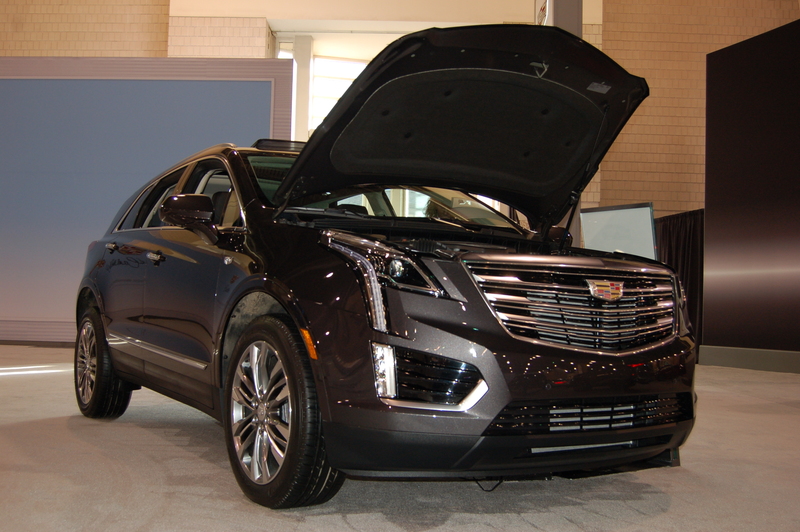 Six Cadillacs were on display at the Pennsylvania Convention Center last month, and each one was filled with yf. But since they sell 11 models and we didn’t see them all at this particular time, we won’t blanket them as all using yf until we’re absolutely sure. There were several newcomers bringing yf to the show, including brands like Subaru, Kia, Chevy and Buick. So far Subaru has only changed over their flagship Legacy sedan and Outback wagon, while Kia is using it in the Optima and Sportage. We also checked out FCA and as expected almost every vehicle on display uses yf. Not surprising, considering they changed over most products during the 2015 model year. But there are still a few holdovers like Caravan and Patriot, expected to be phased out of production soon. As for the GM brands, technicians know that when a change is made to one specific model, changes to their sisters are not far off. For example, MACS reported back in August about GMC putting yf in the Acadia, and now we’re also seeing it in the Cadillac XT5 (See Figure 1). Same goes for the Chevy Silverado 1500 and GMC Sierra 1500 pickups, which both use yf along with the Canyon and Colorado. Also, while we know the ’17 Malibu uses yf and we suspect the Buick Regal does too, we’ll hold off on making that call until it’s been confirmed. Many of the GM sister cars will change over to use yf at the same time, since they’re being built on the same platforms and come off of the same assembly lines. 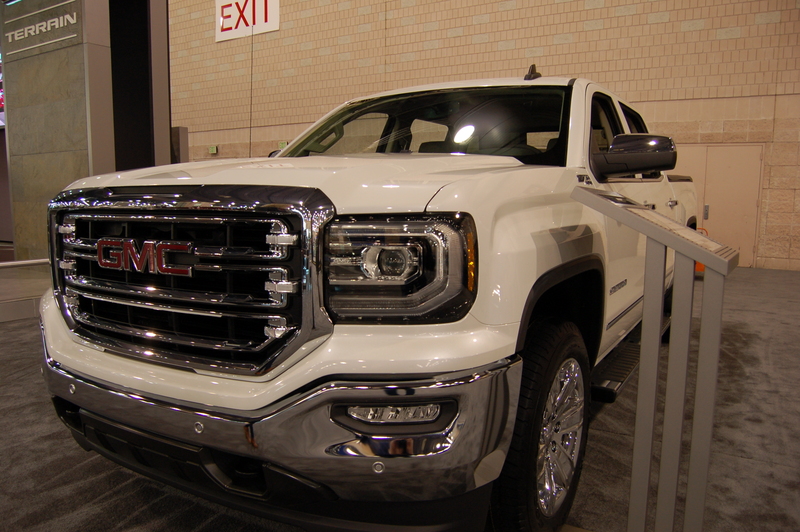 Examples include the Chevy Silverado 1500 / GMC Sierra 1500 (shown here), and Chevy Colorado / GMC Canyon pickup trucks. All but a few Honda vehicles are using yf, and that likely has to do with their refresh schedule. Those vehicles that have already been changed over are also on new platforms or on to their next generation (like the Gen2 Ridgeline). So while HR-V and Odyssey have yet to be changed, we expect that they’re next on the list, and maybe we’ll see them using yf at next year’s show. Although we were told back in 2015 that two of their vehicles would be using yf in the 2016 model year, we’ve only seen Toyota using it in the Tacoma pickup thus far. But inside sources tell MACS that a Lexus model is slated to get it next, and we’ll just have to wait for its introduction due sometime this spring. Ford already came out with their first yf vehicle last spring when they started sending 2017 Escapes to US dealers, but this year we saw them expand use of the gas into three more vehicles, the Focus, Fusion Energi, and their best-selling F-150 pickup truck. We also saw what we think will be the first Volkswagen to use R-1234yf in the US, and that’s the 2018 VW Atlas R-Line. This prototype was on display in Philadelphia, and while there was no J639 label to be found (there was actually no labeling on this particular vehicle, not even in the door jambs), the shape of the service ports are a dead giveaway that it uses yf. Note: Unless otherwise indicated, all vehicles listed above use R-1234yf refrigerant. Have you been to your local auto show to check out the new models? 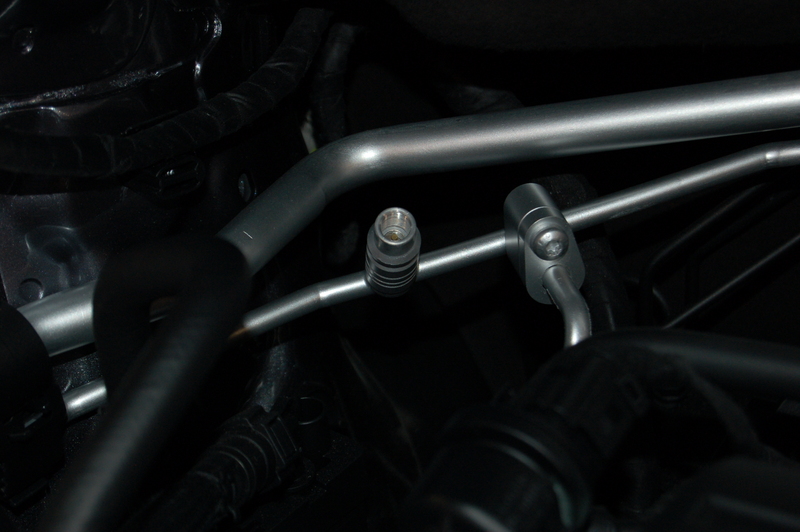 Have you noticed something extraordinary about an A/C system you’ve recently worked on? Share your story with MACS, and it may just end up here on the MACS WordPress BLOG! Visit www.macsw.org for more information, and if you’re not yet a member, join today! This entry was posted in #1234yf, ACtion Magazine, Automotive training, MACS Member, Mobile Air Conditioning, Refrigerants and tagged #air conditioning, #MACS Member, #Macs worldwide, #MACSW, #Mobile Air Conditioning Society, #R-1234fy, car care, professional service, refrigerant. Bookmark the permalink.